Introduce a little mid-century mod into your space! 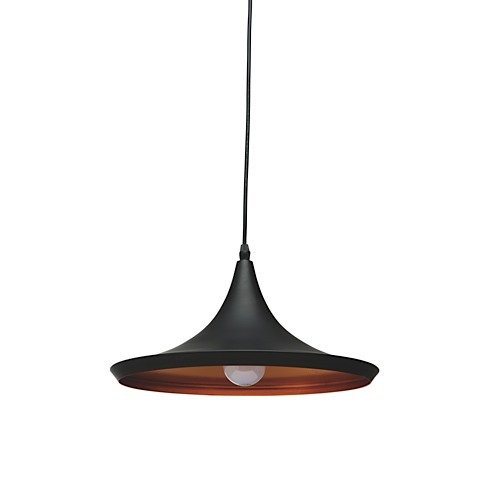 The commercial grade Euclid Pendant Lamp features a smooth conical design fabricated from metal with a black powder coat finish. The interior of the fixture is hand finished in gold paint. Eulcid requires one (1) type E12 40W max bulb (not included). 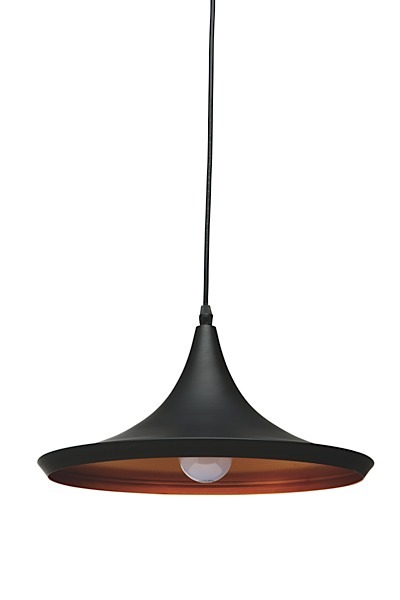 The cord length of the lamp is adjustable up to 59".